It could easily be said that the Sherwood, Tigard and Tualatin high school baseball teams all excelled during the 2018 Three Rivers League season. Tualatin went 13-4 in TRL play, sharing the league title with Lake Oswego and West Linn. Sherwood went 11-6 in league games, putting the Bowmen in fourth place in the final TRL standings. Tigard was right behind them in fifth place, with a 10-7 league mark. And, with all that success, the three squads were well represented on the Three Rivers League all-league list. 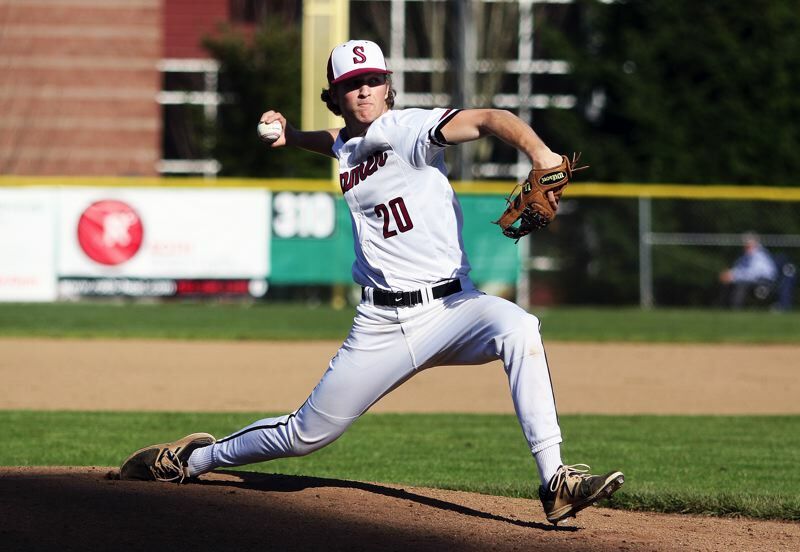 Leading the way is Sherwood's Riley Aggson, who was named the Three Rivers League Pitcher on the Year for his play in 2018. For the season (all games), Aggson had a 7-3 won-loss record and a 1.65 earned-run average. In 59 and one-third innings of work on the mound, he gave up 14 earned runs on 44 hits, while striking out 79 batters and walking 15. In TRL play (37 innings pitched), Aggson struck out 46 batters and walked just three. Joining Aggson on the Three Rivers League first team, from Sherwood, were senior Bryce Vaughn, who was a unanimous choice as an outfielder, senior Hayden Gilbert, who was a unanimous choice at catcher, and junior shortstop Anthony Garrett, who was selected as an infielder. Also for the Bowmen, senior Jacob Matzat was a second-team selection as an infielder and an honorable-mention pick as a pitcher. Senior Takumi Kammerzell and junior Sage Dunaway were both honorable-mention picks in the outfield. Garrett and junior Braden Thorn were both honorable-mention pitchers and senior Nic Garrison was an honorable-mention pick at first base. 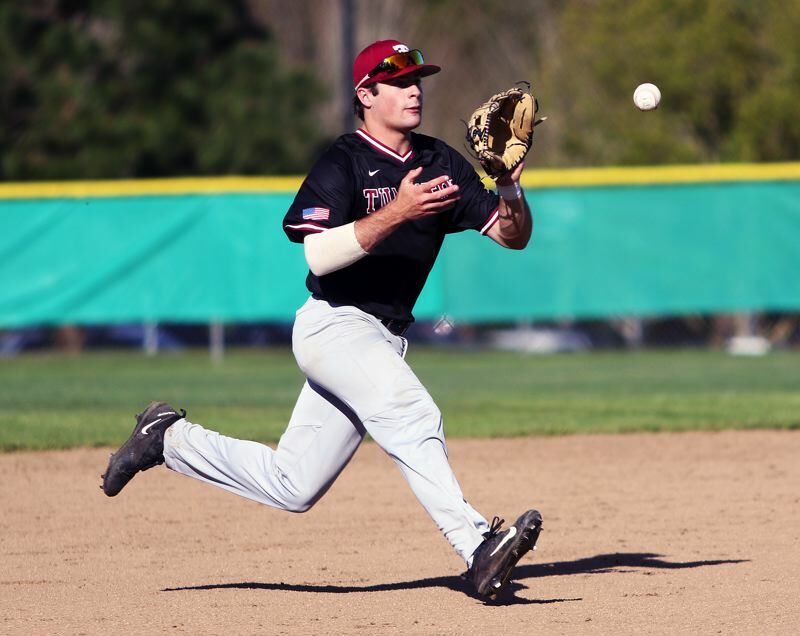 For Tualatin, junior shortstop Kyle Dernedde was a unanimous first-team pick as an infielder. Also on the first team for the Timberwolves were senior outfielder Sean Chamberlin, senior infielder Colby Jackson, senior pitcher Danny Shell and junior designated hitter Gavin Moore. Also for Tualatin, senior outfielder Chris Freese, senior catcher Cole Kinman and Jackson, at pitcher, were all second-team all-league selections. Honorable-mention picks for the Wolves included sophomore outfielder Blake Jackson and senior Kaden Cook, who was chosen at both pitcher and first base. For Tigard, senior outfielder Nick Heinke was a unanimous All-TRL first-team pick. Tiger junior C.J. Rivers also earned first-team accolades at first base. Second-team selections for Tigard included senior Micah O'Donnell in the outfield, Rivers and junior Sam Gerkman at pitcher, senior Michael Quintana in the infield and junior Lance Kreisberg at designated hitter. Tiger sophomore outfielder Fletcher Ahl was an honorable-mention all-league pick. Lake Oswego senior Jake Dukart was named the Three Rivers League Player of the Year. West Linn's Joe Monahan was tabbed the Coach of the Year. Other first-team all-league picks included Lake Oswego senior outfielder Sam Haney, West Linn senior outfielder Griff Banta, West Linn junior infielder Jonathon Kelly, West Linn senior pitcher Joey Campbell, West Linn senior catcher Micah Gibson and Newberg senior utility player Derek Maiben. Other second-team all-league picks included Lake Oswego sophomore outfielder Thomas Dukart, Newberg senior outfielder Jacob Maiben, Canby senior infielder Alec Hopkins, Lake oswego senior infielder Matt Grimm, West Linn senior infielder James Marshall, Lake Oswego freshman pitcher Malcolm Williams, Lake Oswego junior first baseman Alex Giroux and Canby sophomore designated hitter Cayden Delozier.